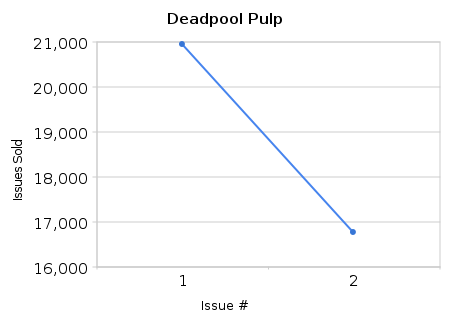 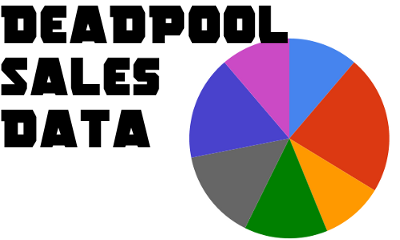 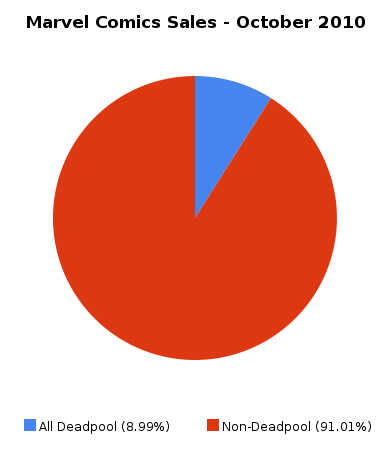 The October 2010 sales data has been released by Diamond Comic Distributors, including the following Deadpool sales data for the four ongoing Deadpool series. 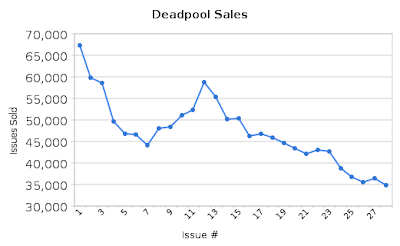 When the number of issues of Deadpool ongoing comics is compared to the total number of comics sold by Marvel in October 2010, Deadpool ongoings make up 4.05% of all Marvel comics sold. 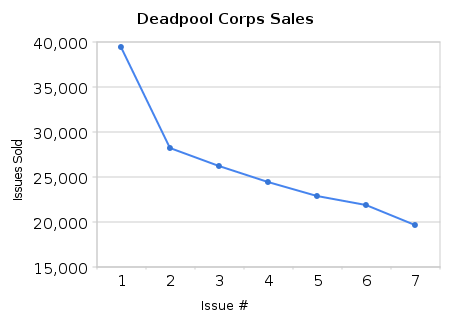 Diamond Comic Distributors releases sales information for the top comics sold each month, so each comic is given a rank based on how it did within the entire group. 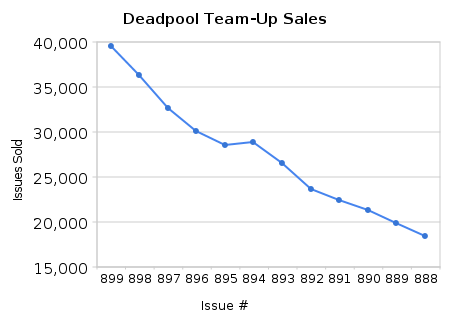 The rank for the Deadpool comics sold in October 2010 are below, as well as the change in rank from last month. 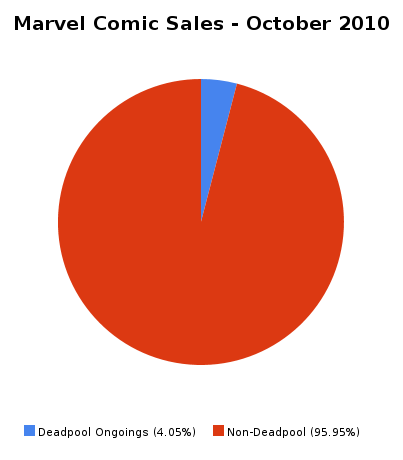 In October 2010 Marvel sold 93 comics, and the rank of each Deadpool book among this group is also below, as well as the change in rank from last month.